In honor of our 20th wedding anniversary, I decided to write about our love story. 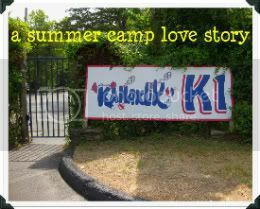 Please join me as I tell A Summer Camp Love Story. And because I cannot seem to tell a story quickly, I've split it into parts. I'll continue adding to it, until I finish. Or, until Christ comes back. Whichever comes first. Amen. Part 11--The Summer Camp Love Story CONTINUES!